Vitamins A, B12, C, D, zinc, selenium could all help to prevent colds and flu this winter, according to a dietitian. Taking daily supplements will help to “plug dietary gaps”, caused by the shorter and colder days, they said. Public Health England advised everybody to take daily vitamin D supplements during autumn and winter, as sunlight hours - the biggest natural source of the vitamin - was reduced during the seasons. Its warning came as the NHS revealed it was more “scared” than ever before about the winter battle with flu. 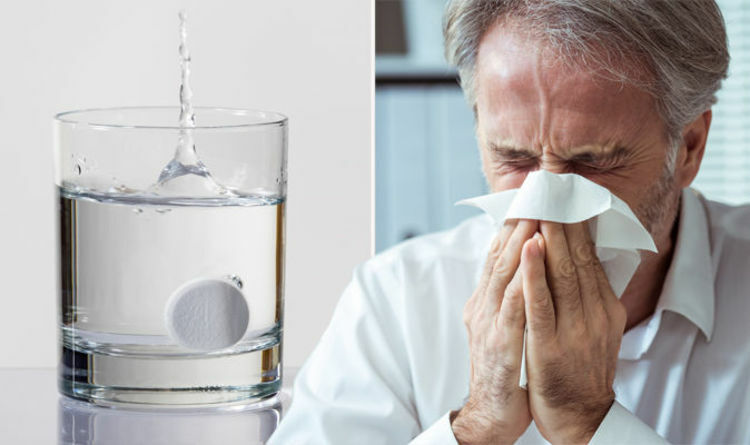 “Winter brings particular challenges including more colds and flu, low mood and dry skin,” said dietitian Dr Carrie Ruxton, from the Health and Food Supplements Information Service. “As days get shorter and the weather gets colder, it is also all too easy to reach for comfort foods. “Dietary supplements therefore provide a useful top up when you’re struggling to get the necessary variety in your diet. Vitamin A helped to strengthen cells on the outer layer of skin - the body’s first defence against harmful bacteria and viruses. It also helps cells in the linings of the body’s hollow structures, including the nose, throat, stomach and gut. The antioxidant, Vitamin C, helped to make immune system cells, Ruxton said, along with vitamin B12. A vitamin D deficiency, meanwhile, increased the risk of auto-immune diseases. The vitamin relieved low moods, linked to a lack of natural sunlight. Zinc and selenium helped the body fight infection, and maintained the body’s defence system, she added. About 34 million working days were lost in 2016, owing to coughs and colds. Sickness absences cost the UK’s economy the equivalent of about £15 billion. Fly symptoms include a fever, chesty cough, headaches, fatigue, and general aches and pains, according to the NHS. The flu jab is available for free on the NHS for anyone over the age of 65, pregnant women, people with underlying health conditions, or anyone with weakened immune systems.